South Sydney Rabbitohs star Greg Inglis has revealed when he will retire from representative football and the NRL. 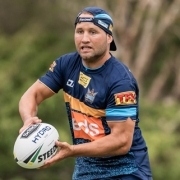 The 32-year-old made the announcement in a video message to Rabbitohs members on Friday. 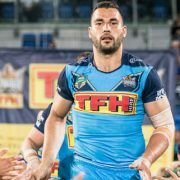 In the clip, Inglis said 2019 will be his final year playing for Queensland in the State of Origin before he officially hangs up his NRL boots at the end of the 2020 season. 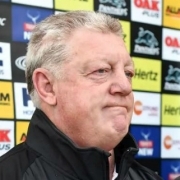 “It’s a decision I’ve made purely on my own and something I’ve been thinking about in the last two and a half months,” Inglis said. “For the next two years I’ll be giving everything I can to this great club. 2019 will be my last representative season therefore next year I’ll be solely concentrating on the South Sydney Rabbitohs. The Queenslander finished by thanking fans for all of their support over the years. “I’ve been fortunate enough to represent my country, my state, and my people and those are memories that I will cherish forever,” he said. You can watch Greg Inglis’ retirement announcement here.